Richard M. Locke was appointed Brown University's 13th provost in July 2015. Locke is an internationally respected scholar and authority on international labor rights, comparative political economy, employment relations, and corporate responsibility. Working with leading firms like Nike, Coca Cola, Apple, and HP, Locke and his students have demonstrated how corporate profitability and sustainable business practices can be reconciled. He is the author of five books: Production in the Innovation Economy (The MIT Press, 2014, with Rachel Wellhausen); The Promise and Limits of Private Power: Promoting Labor Standards in a Global Economy (Cambridge University Press, 2013); Working in America (The MIT Press, 2001, with Paul Osterman, Thomas Kochan, and Michael Piore);Employment Relations in a Changing World Economy (The MIT Press, 1995, with Thomas Kochan, Michael Piore); and Remaking the Italian Economy (Cornell University Press, 1995). For his ongoing research on fair and safe working conditions in global supply chains, Locke was named the 2005 Faculty Pioneer in Academic Leadership by The Aspen Institute. 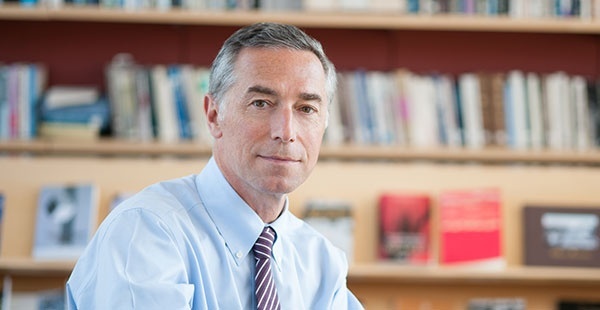 Prior to his arrival at Brown in 2013, Locke served for 25 years on the faculty at MIT, holding the Alvin J. Siteman Chair in Entrepreneurship and later the Class of 1922 Chair in Political Science and Management. Locke pioneered the Global Entrepreneurship Laboratory at MIT’s Sloan School of Management in 2000, for which he received the MIT Class of 1960 Teaching Innovation Award in 2007 and the Jamieson Prize for Excellence in Teaching in June 2008. He also served as chair of the MIT Political Science Department and deputy dean in the Sloan School of Management. Locke earned his Bachelor of Arts from Wesleyan University, a Master of Arts in education at the University of Chicago, and a Ph.D. in political science, with a specialty in political economy, at MIT. He has held visiting faculty positions in Italy, Germany, the United Kingdom, and Brazil and has received fellowships from the German Marshall Fund, the Social Science Research Council, the Hewlett Foundation, and the Sloan Foundation. He is a member of the Council on Foreign Relations, and in September 2016, the Society for Progress awarded Locke with an inaugural Progress Medal for Scholarship and Leadership on Fairness and Well-being. He is a member of the ILO-IFC Better Work Program Advisory Committee, and from 2013-2016, he served as chair of the Apple Academic Advisory Board, a group of independent academics who worked with Apple to improve labor conditions among the company's suppliers. Globalization, with its volatile mix of economic opportunity and social disruption, is redefining the experience of work and challenging national institutions that govern employment. The world of global supply chains links thousands of firms, large and small, extending across cultural and political boundaries. In this world, corporations, unions, NGOs, national governments, and even international labor, trade and financial organizations are all casting about, searching for new strategic directions and/or novel institutional arrangements for governing employment and work. But there is enormous uncertainty about their likely success – in particular, about their success in addressing three basic concerns about employment relations in the global economy: fair compensation, decent and healthy working conditions (including work hours), and rights of association. To get at these questions, I have been conducting a series of studies, all involving graduate students, on labor conditions in different global supply chains. This project examines policies and programs aimed at combating the alarming rates of persistent poverty that continue to plague Northeast Brazil. Collaborating with the Banco do Nordeste do Brazil, a government development bank focused on Brazil's poor northeast region, and building upon prior research currently underway on issues of sustainable economic development at Brown University, this multi-year research project analyzes and assesses a variety of programs and policies (e.g., the decentralization of various social services (health, education) to local municipalities; various micro-credit programs; efforts to link specific industrial sectors or clusters to global markets; various "capacity-building" programs for local public agencies and elected officials) in order to assess their impact on promoting development and reducing poverty. Co-author with Greg Distelhorst, “Does Compliance Pay? Firm-level Trade and Social Institutions,” American Journal of Political Science, December 2017. Co-author with Greg Distelhorst and Jens Hainmueller, “Does Lean Improve Labor Standards? Management and Social Performance in the Nike Supply Chain,” Management Science, 2017,63:3 , 707-728. Co-author with Greg Distelhorst, Hiram Samel, and Timea Pal, “Production Goes Global, Compliance Stays Local: Private Regulation in the Global Electronics Industry," Regulation and Governance, Volume 9, Issue 3, pages 224–242, September 2015. Author, “Critical Dialogue,” a Review of Political Consumerism: Global Responsibility in Action. By Dietlind Stolle and Michele Micheletti. Perspectives on Politics. American Political Science Association. Vol. 14, No. 2 (June 2016): 519-520. Co-author with Salo Coslovsky, “Parallel Paths to Enforcement: Private Compliance, Public Regulation, and Labor Standards in the Brazilian Sugar Sector,” Politics and Society, Vol.41, No. 4 (December 2013): 497-526. Co-author with Ben Rissing and Timea Pal, “Complements or Substitutes? Private Codes, State Regulation and the Enforcement of Labour Standards in Global Supply Chains,” 50th Anniversary issue of The British Journal of Industrial Relations, Vol.51, No.3 (September 2013): 519-552. Co-author with Monica Romis, “The Promise & Perils of Private Voluntary Regulation: Labor Standards and Work Organizations in Two Mexican Factories,” Review of International Political Economy, Vol. 17, No. 1 (February 2010). Co-author with Matthew Amengual and Akshay Mangla, “Virtue out of Necessity? : Compliance, Commitment and the Improvement of Labor Conditions in Global Supply Chains,” Politics & Society, Vol. 37, No 3 (September 2009): 319-351. Co-author with Thomas Kochan, Monica Romis, and Fei Qin, “Beyond corporate codes of conduct: Work organization and labour standards at Nike's suppliers,” International Labour Review, Vol. 146 Issue 1/2, (March-June 2007): 21-37. Co-author with Fei Qin and Alberto Brause, "Does Monitoring Improve Labor Standards? : Lessons from Nike," Industrial and Labor Relations Review, Volume 61, Issue 1 (October 2007): 3-31. “Looking in the wrong direction? Reflections on Italy’s most recent ‘crisis’”, Journal of Modern Italian Studies, Vol. 19. N. 4 (2014): 375-379. “Can Global Brands Create Just Supply Chains?” Boston Review, Vol. 38, No. 3 (May-June 2013): 12-18. “Education as an Emotional Experience: Reflections of a Teacher,” Schools: Studies in Education. Volume 3, Issue 2 (October 2006): 31-50. “Claves para Ser Un Pais de Emprendedores,” Empresas COPEC, No. 55 (April 2004). Co-author with Suzanne Berger, “Globalization and Il Caso Italiano,” Daedalus, Volume 130, No. 3 (Spring 2001). How waiting longer for an iPhone could help workers Editorial. South China Morning Post October 18, 2012. "Hands off of Vale." Editorial. Folha de Sao Paulo 29 March 2011. “We live in a world of global supply chains,” in Business and Human Rights: From Principles to Practice, Dorothée Baumann-Pauly and Justine Nolan, eds., (Routledge, 2016) 299-316. Brown University, Parents Day Week-End Forum, October 25, 2014. Northwestern University, Department of Political Science, October 23, 2014. Providence Council for Foreign Relations, Providence, RI, June 24, 2014. Brown University, Commencement Week-End Forum, May 24, 2014. University of California Berkeley, Political Science Department, April 4, 2014. GAP Headquarters, San Francisco, CA, January 29, 2014. U.S. Department of Labor, Washington, D.C., January 21, 2014. McKinsey and Company, Boston office, January 17, 2014. Center for Responsible Enterprise and Trade, Washington, DC, June 5, 2013. United States Council for International Business, Washington, DC., October 10, 2013. Risk and Regulation Seminar, The University of Pennsylvania Law School, December 3, 2013.
conference on “Italy in Crisis,” Watson Institute for International Studies, Brown University, October 30, 2013. National Academy of Sciences on the Production in the Innovation Economy Report Washington, DC, February 22, 2013. Keidanren, Keizai Koho Center & MIT-Japan Program Symposium, Japan, March 28, 2013. University of Washington Forum on the Transformation of Supply Chains, Cambridge, MA, March 8, 2013. Maturity in Supply Chain Responsibility, Stanford, CA, March 8, 2012. Society for the Advancement of Socio-Economics (SASE), 24th Annual Meeting,Cambridge, MA, June 28, 2012. World Bank, Washington, DC, June 21, 2012. United States’ Department of State’s Roundtable –“Safeguarding Intellectual Property and Preventing Corruption in Global Markets.” Washington, DC, May 2, 2012. Puerto Rico Conference — “Revitalizaing Innovation.” San Juan, PR, March 28, 2012. “The Creative Mind: Richard M. Locke"
“From Apple to Nike: Making Globalization Work for All"
“Richard M. Locke Book Panel — The Promise and the Limits of Private Power"